If you are looking for fantastic countryside riding, over miles of open grasslands without a fence post in sight, this Transylvania Trail could be your perfect horse riding holiday. This unique ride is in Transylvania at the centre of Romania, not far from the town of Brasov, where daily life has changed very little in the last 100 years. Horses still plough the fields and remain an important mode of transport for villagers to get about their business. Your Transylvania Trail hosts are a real Count, Count Tibor Kalnoky and his wife Anna and they are part of one of the most ancient families of Transylvania. Their history reaches back to obscure medieval times. In 1252 AD the Kalnoky family was documented in this eastern part of Transylvania. The current 25th generation Kalnoky family came back after 50 years of exile in the West and are now reshaping their lost heritage, which adds in another cultural intrigue onto this Romanian adventure. Lets not us forget that Transylvania is also closely associated as the homeland of Count Dracula, but is also part of the dramatic history of the Austro-Hungarian Empire, and boasts well-preserved Medieval villages and excellent Romanian wine, which you can see and enjoy as you ride through this beautiful, untouched part of Europe. Enjoy Transylvania’s historical landscape of endless rolling hills adorned by wild flower meadows, forests and tiny villages, set against the backdrop of the Carpathian mountain range. This may well be Europe’s last riding heaven! The ride is led through unmarked terrain, over hills and through forests, connecting one small village to another by unnoticeable tracks used by horses and carts. The small groups (often made up of a number of people who have booked separately) make for friendly and interesting riding. Riding days are generally between 3 – 6 hours in the saddle, with breaks to rest and for lunch. The horses are locally bred, including the Huzul, a historical and robust breed unique to the Carpathian mountains. Semigreu a Lipizzaner Ardennes cross and some locally bred Lipizzaners and Arabs. Riders need to be intermediate or advanced with a good level of fitness and you should be able to canter under control in the open countryside. Overall the pace is moderate with routes taking you through forest and up and down mountain tracks. There are lots of opportunities for trot and canters as the riding is across open grassland with plenty of space and untouched by tourism. You will cover about 150 km during the course of the week. The horses are sensible, well mannered to ride, and are well suited to riders with intermediate riding ability and above. You should be relatively rider fit and we recommend you ride regularly at home before the trip so that you are comfortable in the saddle so you get used to the hours you will spend in the saddle. The tack is English general purpose saddles and snaffle bridles. This itinerary is available from the beginning of April to the end of October. Around 4-6 hours (20-30km) are spent in the saddle daily and a variety of terrain is traversed as you travel through wild hills and forest landscapes during the 110-120km long trail. The villages are situated at 450-700m, the hills reach 800-900m. This region is called Erdővidék, or “Woodlands”, and has been looking very much the same for the last centuries, including its charming ancient villages. You will be met on arrival at the airport or Brasov station and driven either to Miklósvár or Zalánpatak according to availabilities. In case there are no available rooms at our guesthouses, the riders will be accommodated at private houses in the village. The village of Miklosvar was part of the Kalnoky family estate and the old hunting manor is on the edge of the village. The area was part of the Hungarian empire but became Romanian during the 1st World War. A couple of the traditional houses in the village are carefully restored in order to preserve their original Transylvanian charm and character and accommodation is in these guesthouses. The guesthouses are situated within spacious gardens, with storks nesting on nearby rooftops. Zalánpatak is a small & remote village, around 25 km away from the stables at Korospatak. The night is spent in a lovely farmhouse, restored by Count Kálnoky for the Prince of Wales, which is situated in a tiny village surrounded by hills with meadows and forests. You will meet your guide or Countess Anna Kálnoky for a welcome dinner, and to discuss the sort of horses you will be riding during the tour. We climb back north-westerly into the deep forests of the Hatod region, where 6 villages share the same woods (hatod = ‘one sixth’). We travel along a quiet forest track, alongside which bear traces are sometimes to be found. After having ridden around the extinct volcano ‘Murgo’, we descend on gentle grassy slopes to the Batanii villages (‘Big Bacon and Little Bacon’) to reach our accommodations in village houses at lovely ‘Little Bacon’ where we have dinner. The villagers here are known to be especially hospitable and friendly, and before dinner will take pride at showing you their still functioning watermill and traditional looms. Riding time: 4 hours. We head northwest through forests and hay meadows, to climb up to Szép Arca (‘Pretty Face’) hill on the southern slopes of the Hargita Range. Wide views open out on distant Barót and Olt Valley. We descend northwest into the Kormos (‘Sooty’) valley, where Romania’s ex-Dictator Ceausescu had his private hunting villa. The river is teeming with trout, the wet meadows have beautiful wild flowers. The villa for the night is called ‘Kormos’ where you will be accommodated and have dinner. Riding time: 3 hours. We turn south down the Kormos Valley on a long ride along the lower slopes of the hills, passing the villages of Filia/Erdőfüle (‘Forest’s Ear’) on endless hay meadows towards the town of Barot. We continue on the slopes offering many a chance for cantering, into the valley of the river Olt to reach Miklósvár. The riders will be accommodated at our guesthouses. In case of full occupancy, accommodation at private houses in the village will be provided. Riding time: 5 hours. From Miklósvár, we return to the stables at Kőröspatak, riding through forested hills, crossing valleys and streams, picnic at Prince Charles’s property at Zalánpatak. This trip was very common for many a generation of the Kálnoky family who had to ride often between the two villages, where their two manors are. This part of the region is particularly rich in game. Arriving at Kőröspatak, you will be transfered back to Miklósvár by car for your last night at our guesthouse (in the limit of available space, if not then in private accommodation in the village). Riding time: 5-6 hours. Depart after breakfast, or add on a few days of relaxation and tours based at Count Kálnoky’s Guesthouses in Miklósvár. The itinerary may vary due to weather and other reasons beyond the operators control. Accommodation on the ride is quite varied and you will experience life as the locals live in the village, but also enjoy the vernacular charms of Count Kalnoky’s and The Prince of Wales’s cottages (see itinerary details). Meals are cooked locally and served as table d’hôte. The itinerary is set and it is varied and you will experience mix including life as the locals live in the villages, a typical Transylvanian farmhouse belonging to Prince Charles as well as a private villa called ‘Kormos’. The rural guesthouses are equivalent to ‘B&Bs’, staying with a family. They are simple, clean and well maintained, with inside plumbing, bathrooms and toilets, hot water and central heating. Zalánpatak & Miklósvár – usually the 1st night of the trip is spent at Zalánpatak in a farmhouse belonging to the Prince of Wales, and the last two nights at Miklósvár in houses which your host, Tibor, has re-built with great care and attention to detail. Each room is different with lovely antique furniture and wood-burning stoves, typical of the region. Rooms are twin bedded and if you would like a single room then this is possible although cannot be guaranteed. Food in rural Romania is generally organic and full of flavour and you will have the chance to sample some traditional dishes like wild boar stew & spicy meatballs. The Transylvania Trail is a fixed date departure. There is a shorter version if preferred. Please ask us for an itinerary. For 2019, the ‘All Incl’ price for long rides is €1180 Euro per person and, rates for May & June are €1416 Euro. Including guaranteed accommodation at both the Prince’s retreat and at the Count’s cottages, and including also a guided evening walk on the Prince’s estate. 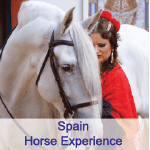 The short ride, with 3 days riding and 2 non – riding days at the Prince’s and the Count’s properties, is €940 Euro and in May and June €1128 Euro. Prices are ‘All Inclusive’, with accommodation, meals, guiding and luggage transfer included. Shared accommodation in double or twin rooms, sometimes sharing the bathroom or not en-suite. Single room supplement applies when available (30 Euro/ night). Day rides and riding lessons are priced separately. Travel and transfers are not included and please ask for prices. (Please contact us for the Australian dollar conversion. We use the ANZ bank sell rate for our conversion). If you require a Single supplement please advise when booking. All accommodation in twin or double share. Most rides are run from set dates between April and October when the weather in the area is best. In spring and early summer the ground is scattered with wild flowers; in August and September the hay fields are harvested and the countryside is busy with horse drawn carts; later in September and in October the forests are full of colour with the changing leaves. Average daytime temperatures between April and October are roughly as follows – April 11°C; May 16°C; June 19°C; July 21°C; August 21°C; September 18°C; October 13°C – though it may be about 5 degrees hotter at midday and about 5 degrees colder at nightfall. Rain is possible at any time so you need to be prepared for this. Bucharest is the closest Airport and Braslov is the closest train station.